BSI elections opened on Tuesday 2 April for the following vacancies: two General Trustees, a Clinical Secretary, an Early Career Representative and an Industry Representative on Forum. We encourage all eligible BSI members* to vote. 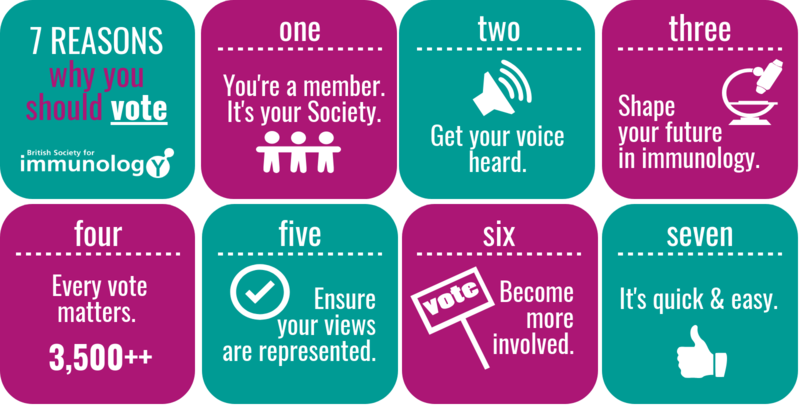 Your elected representatives will make numerous decisions on your behalf about the BSI’s priorities and activities, so engaging with the elections genuinely does make a difference. You can find out all the information on how to vote below. To register your votes in this election, all eligible BSI members* received an email on Tuesday 2 April from the Electoral Reform Services, an independent provider who ensure our elections are run to the highest standards. This email contained a personalised security code through which you can find out more about the candidates for each position and register your votes. Please look out for this email. Those who haven't voted by Tuesday 16 April will also receive a follow-up email from the Electoral Reform Services containing their personalised code. The voting period closes at 17:00 BST on Friday 26 April and you can vote anytime until then with the link provided in the email. 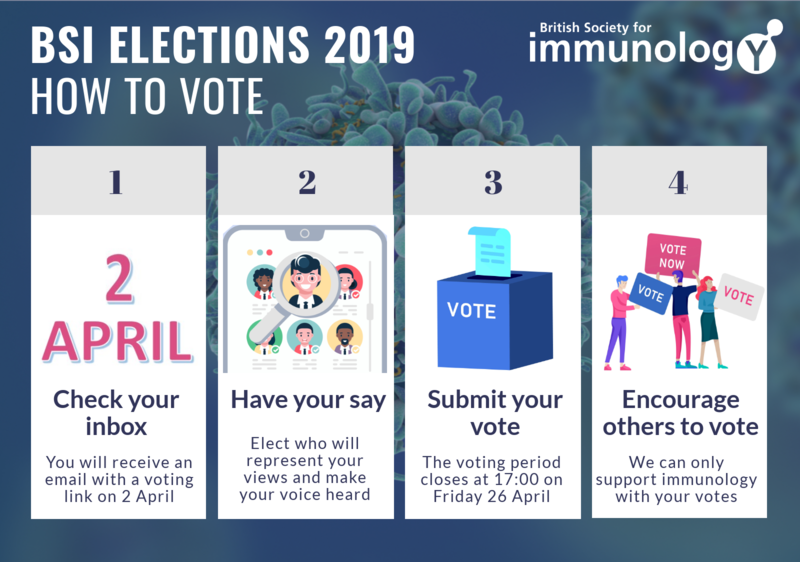 If you have colleagues who would like to vote in the upcoming election, but are not yet BSI members, they will still be able to vote if they sign up to become a BSI member* by Friday 12 April. If you have any queries, please contact Sarah Green. *Voting is open to all paid categories of membership. Please note, this excludes undergraduate members and low income economy overseas members who do not have to pay a membership fee.